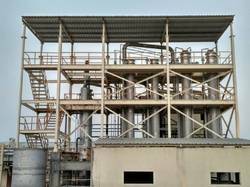 Providing you the best range of falling film evaporators, combination evaporators, evaporation plants, forced circulation evaporator plant, chemical evaporators and product concentration plant with effective & timely delivery. We are leading manufacturer, Importers and Service Provider of Falling Film Evaporators and our product is made up of good quality. The falling film evaporator does have the advantage that the film is ''going with gravity'' instead of against it. This results in a thinner, faster-moving film and gives rise to an even shorter product contact time and a further improvement in the value of HTC. This type of evaporator is suitable for low fouling and low viscous fluid. We are leading manufacturer, Importers and Service Provider of Combination Evaporators and our product is made up of good quality. This combination is suitable for the concentration of more dilute solution to the saturated solution. 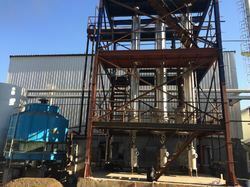 For example concentration solution of textile effluent containing 2-3% sodium sulphate, to recover the sodium sulphate anhydrous salt by using falling film + forced circulation combination evaporator system. We are leading manufacturer, Importers and Service Provider of Evaporation Plants and our product is made up of good quality. 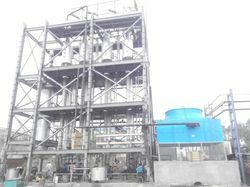 Our industrial Evaporation Plants include an industrial evaporator, combination evaporators, multiple effect evaporators, falling film evaporators and forced circulation evaporators. We are leading manufacturer, Importers and Service Provider of Forced Circulation Evaporator Plant and our product is made up of good quality. Being a noteworthy enterprise of this industry, we are offering a wide spectrum of Forced Circulation Evaporator Plant. In Forced Circulation Evaporator the liquid is pumped through the tubes with high velocity. As the liquid enters the separator where the absolute pressure is slightly less than in the tube bundle, the liquid flashes to form a vapor. It is suitable for use with materials which tend to foul the heat transfer surfaces and where crystallization can occur in the evaporator. We are leading manufacturer, Importers and Service Provider of Chemical Evaporators and our product is made up of good quality. 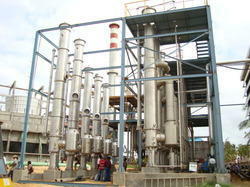 We are offering high quality range of Chemical Evaporators which are provided with good output. 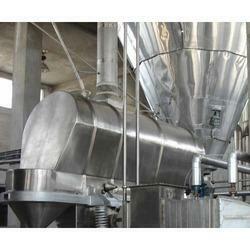 Available at reasonable rate, these chemical evaporator have wide industrial applications. We are leading manufacturer, Importers and Service Provider of Product Concentration Plant and our product is made up of good quality. We are leading manufacturer, Importers and Service Provider of Distillation Plants and our product is made up of good quality. 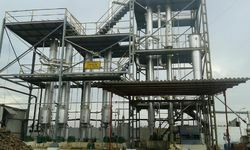 Distillation Plants offered can be made available by us in different configuration and capacity choices and provide for perfect working support in particular distillation applications. 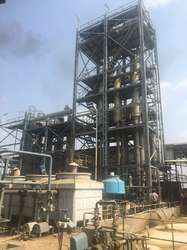 These plants find suitability for treating waste oils like lubricant oils, hydraulic oils, gear oils and others and help it get converted into diesel under high temperature. We are leading manufacturer, Importers and Service Provider of Milk Concentration Plant and our product is made up of good quality. The provided product is precisely developed by skilled professionals using the best quality basic material and modern technology. Offered Milk Concentration Plant is available in a variety of designs and excellent quality as per the needs of our renowned clients. Furthermore, our clients can avail this product at the most affordable price.